Dubai is literally the land of fairy tales and happy endings. The entire city has a magical ambiance, created by the bright lights, tall skyscrapers, the twinkling waters of the Dubai Fountains, the romantic meandering water alleys of the Dubai Canal and Dubai Marina and the many theme parks and gardens. A tour of Dubai is like visiting a fairyland, where imagination meets reality. Talking about 10 Best Things to do in Dubai, Come with us – let us take you on a journey of discovery in this incredible land of fairy tales. 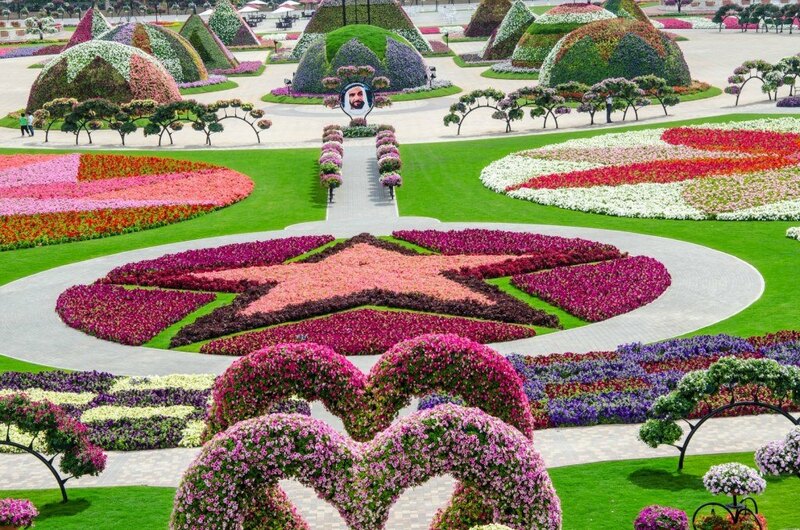 The Dubai Miracle Garden is a real trip down a fairy tale. In the middle of the scorching desert of Dubai is a pristine garden where flowers of every description bloom. The garden is a cleverly sculpted extravaganza of flowering plants, made to look like major global landmarks, or cartoon characters or animals and insects. Every six months, the theme changes and you’ll have a brand new theme of sculpted gardens to enjoy. 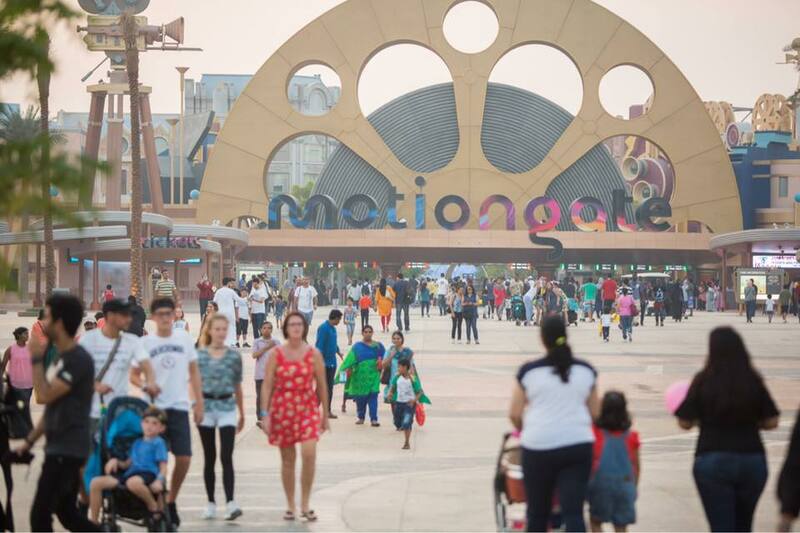 Motiongate Dubai: A fantastic destination for any Hollywood movie fan, Motiongate Dubai is further divided into 4 small zones, chock full of fun immersive thrills and rollercoasters devoted to classics such as The Hunger Games, Smurfs and Shrek among others. Bollywood Parks: This zone transports all the fun and colour of Bollywood to Dubai. Enjoy fabulous live shows, immersive rides, and a thrilling chase through Mumbai’s streets in Mumbai Chowk. LEGOLAND Dubai: Let your kids enjoy the ultimate LEGO building experiences at LEGOLAND Dubai, which also has 40 Lego-themed rides and an exciting water park, besides. Riverland Dubai: Riverland Dubai is the central entertainment zone of Dubai Parks and Resorts. In this zone, you can travel through different times in history, via The Peninsula, India Gate, The Boardwalk and the French Village. 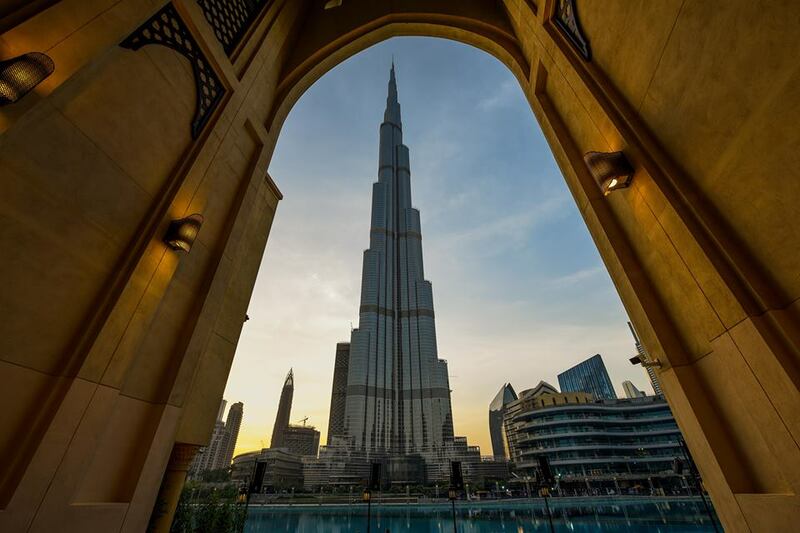 At 829 meters, the Burj Khalifa is the tallest building anyone has ever seen. Its spire pierces the sky, and from a distance it looks like a remote fairy castle, with its reflecting mirror sides and its incredible, flower-like shape. A chance to observe the world from its 125th floor’s observatory deck is the highlight of every tourist’s experience in Dubai. The views are simply mind-blowing – all the way to the sea. A number of telescopes are placed around the deck so people can get a close look at specific landmarks such as the Palm Islands. 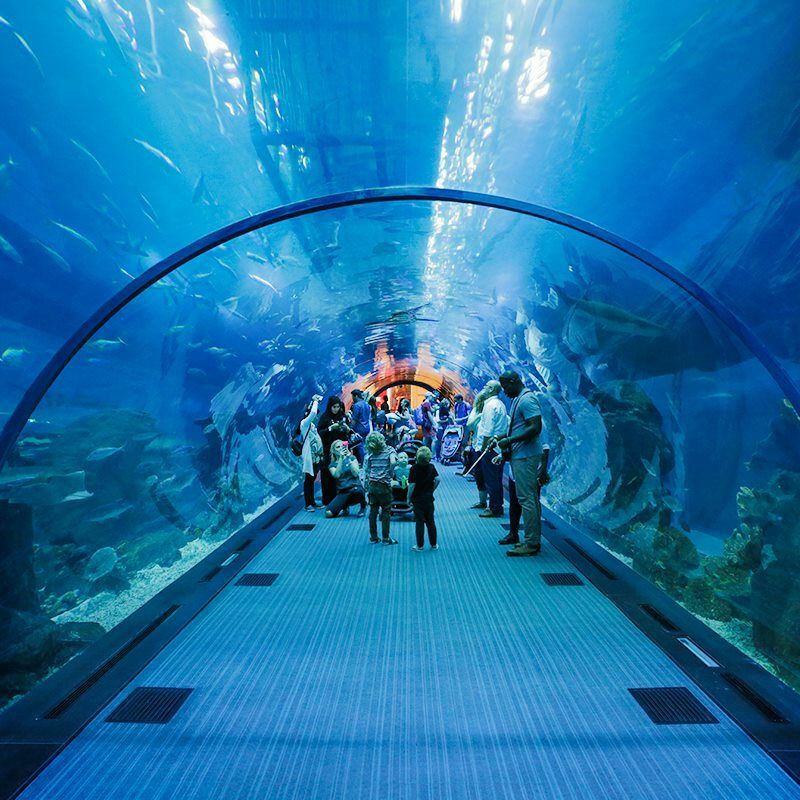 The Dubai Aquarium and Underwater Zoo are located in the Dubai Mall, on the ground floor of the Burj Khalifa. When you enter, you’ll feel as though you’ve left the real world behind and entered into a magical world of underwater creatures. Walk through the acrylic tunnels of the Underwater Zoo and grin back at the deadly killer sharks that’ll pass so close to you, you’ll experience the thrill of a lifetime. The Dubai Aquarium and Underwater Zoo take you right into a beautiful fairyland and back. The Dubai Frame is a direct portal to a fairy world. At 152 meters tall, the incredibly-large landmark frames the beautiful city of Dubai within its rectangular frame. The Frame represents the past, present and future of Dubai. 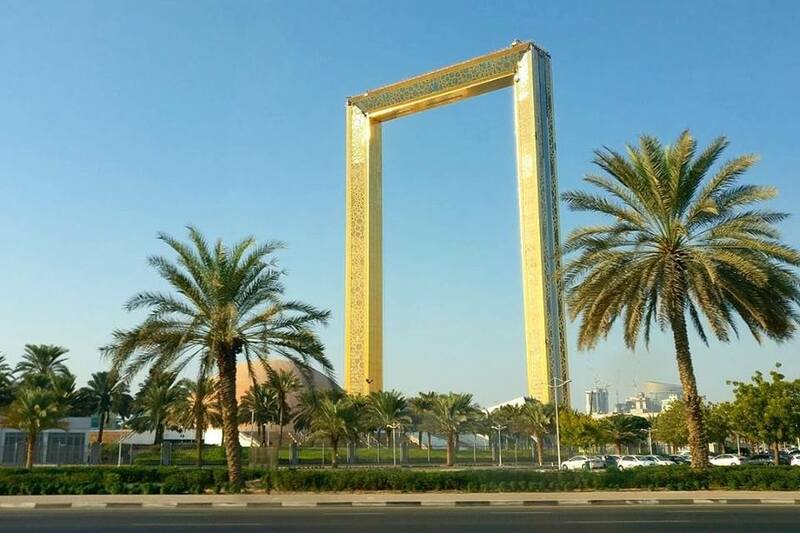 The two tall columns of the frame are connected by a 92-meter wide glass bridge, from which you can get the most exciting views of Zabeel Park, the Dubai Canal and the entire surrounding areas as far as the eye can see. 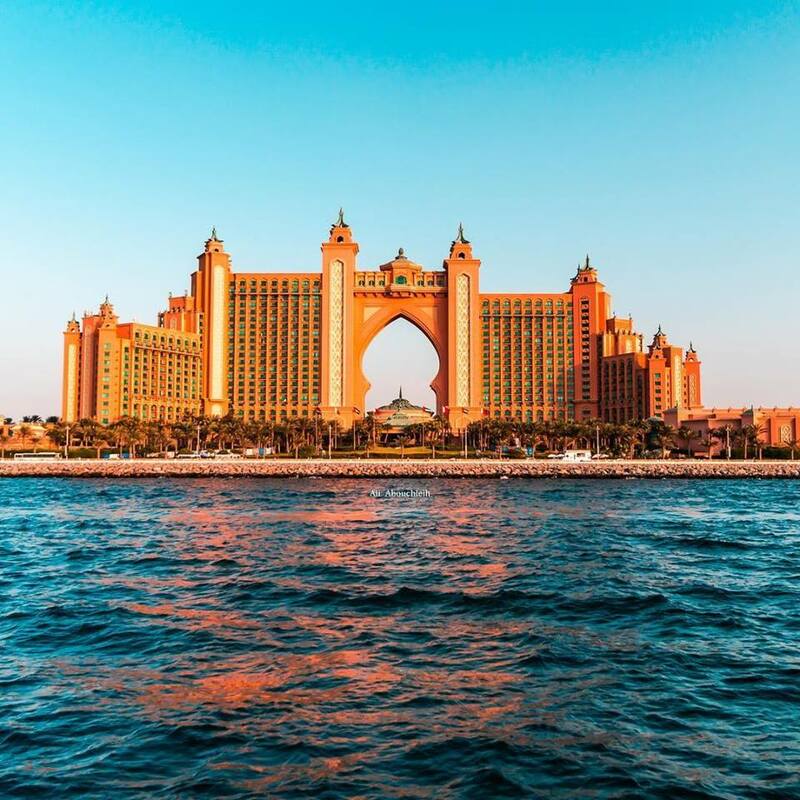 Talking about 10 Best Things to do in Dubai, As far as fairy tales go, the Lost Chambers Aquarium at Atlantis, the Palm is steeped in ancient mythology. Lost for thousands of years deep underneath the sea, the lost city of Atlantis’ ruins are uncovered. In reality, the lost city is so beautifully replicated that you have the chance to explore the myth of Atlantis at an intimate level. Enjoy the fabulous Aquatheatre shows in the aquarium, and snorkel with sharks if you dare. Fish tales tours and aquarium dives and a myriad other activities form the rest of the fun at Atlantis, the Lost World. 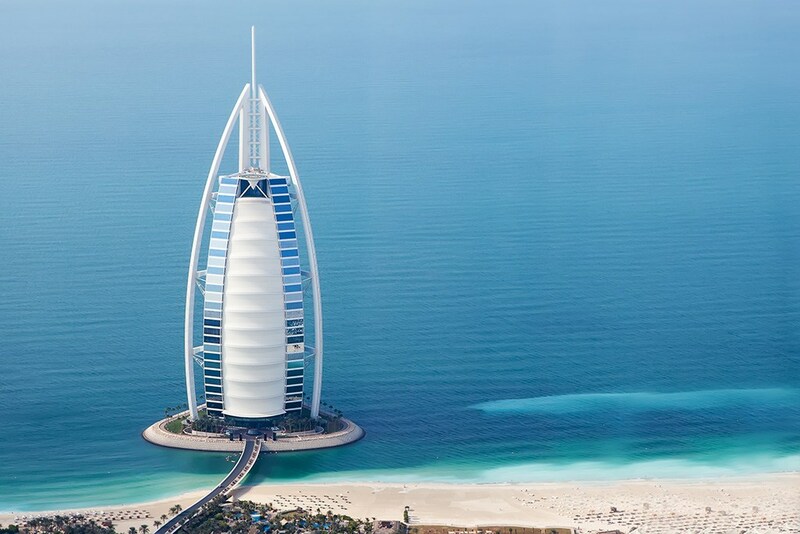 The Burj al Arab looks like a beautiful sail flapping in the wind. From a distance, you’ll think it’s the sail of an incredibly tall ship. This iconic landmark is a 7-Star hotel bar none. The interiors are all done up in shades of gold, with actual gold fittings and plumbing in the VIP suites. There’s also a Gold ATM in there which produces gold coins and ingots in return for cash. You can get a look-see at the interiors of the Burj al Arab by signing up for a high-tea experience at the SkyView bar and restaurant. Enjoy a magnificent, Michelin-starred tea and explore the hotel’s accessible areas. It’s a fairy tale come to life! Can you imagine a rainforest in the middle of a scorching desert? Yes, you heard right. A green, rich and verdant rainforest, with beautiful parakeets and parrots hopping from tree to tree, right in the middle of Dubai. This incredible indoor rainforest is Dubai’s latest effort to give back to the earth and make their city more sustainable. 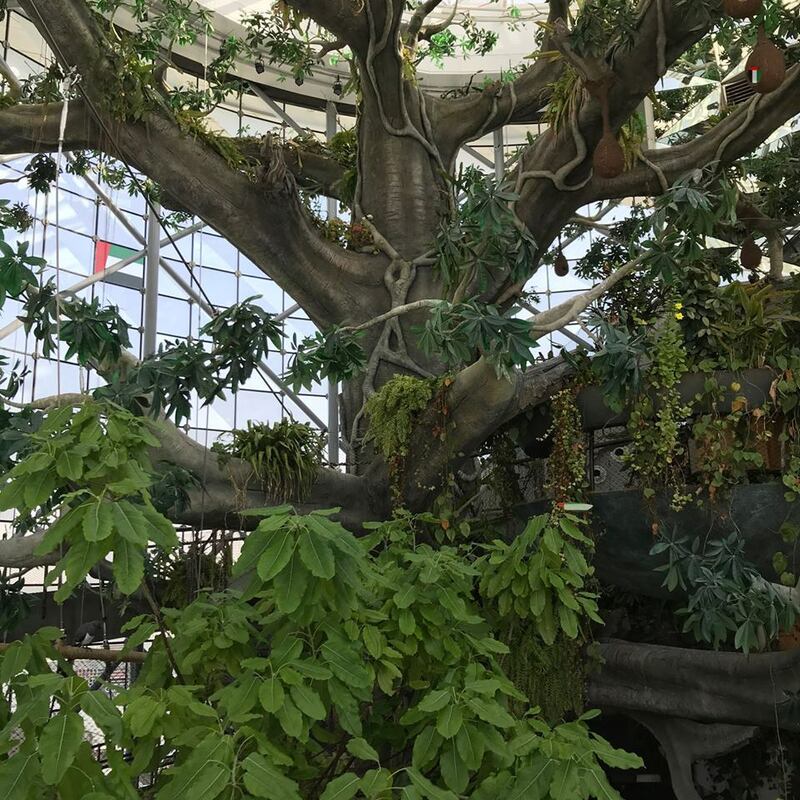 This fascinating bio-dome in CityWalk Dubai allows visitors to explore the fascinating flora and fauna of a real-to-goodness rainforest via an immersive journey into the tropics. 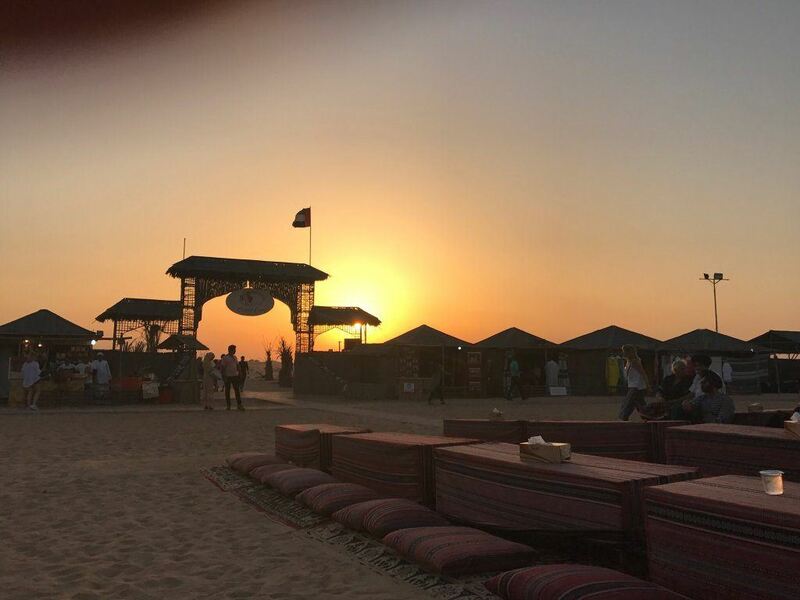 Talking about 10 Best Things to do in Dubai, Ski Dubai comes as a shock at first – how can there be a huge, simply huge ice and snow mountain in the middle of the boiling desert? But there is. There’s not just a snow mountain, but many football fields worth of ski runs, an ice cave, a snow playground and a penguin run – all perfectly maintained at -2 deg centigrade. 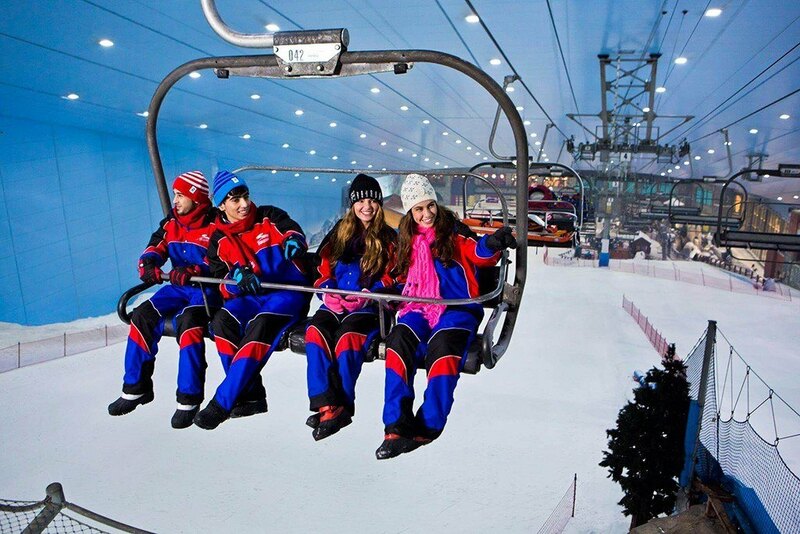 What’s more, Ski Dubai has the world’s first 400 meter indoor black diamond run. Go have fun in this fairytale indoor ski resort! What could be more fun that a safari in the mystical Arabian Desert, especially when you can enjoy sports such as dune bashing, desert quad biking, camel riding and sand boarding? What better way to spend several hours in the desert other than watching Arabian belly dancing in the evening while getting your hands painted with henna? That’s what awaits you at the ultimate fairytale of all – the Dubai desert safari. so this are the 10 Best Things to do in Dubai, Dubai is one of the best destination in the world that is ideal for everyone whether a solo traveler or couple traveler or for family. It has something to offer for every age. You must visit Dubai once in a lifestyle, it will mesmerize you with its beauty for sure.